Lyndon is a 2011 graduate of the Western Australian Academy of Performing Arts (WAAPA). After graduating from WAAPA, he was cast in the national Australian tour of Sweet Charity, originally staged at the Hayes Theatre. In 2015 Lyndon toured Australia in Anything Goes before going on to perform the role of Beautiful Girl Production Tenor in the Australian national tour and the international Tokyo production of Singin’ in the Rain. Most recently Lyndon performed throughout Australia in the ensemble of Disney’s Aladdin where he also covered and performed the role of Jafar. 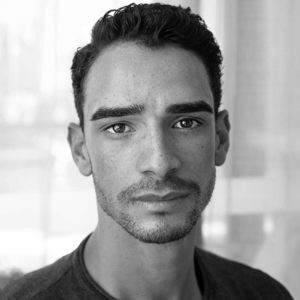 Having performed West Side Story twice during his training, Lyndon is thrilled to be a part of this iconic show professionally in the role of Bernardo.